Life in Delhi can get quite stressful. The bad air quality doesn’t help, and when we heard Mumbai had already started its monsoon, it all got a bit too much to handle and we decided to just head out to a calmer and quieter place. A lot of debating later, Udaipur emerged as the top choice. It was a mere 700km away, with good roads and lots of lakes! 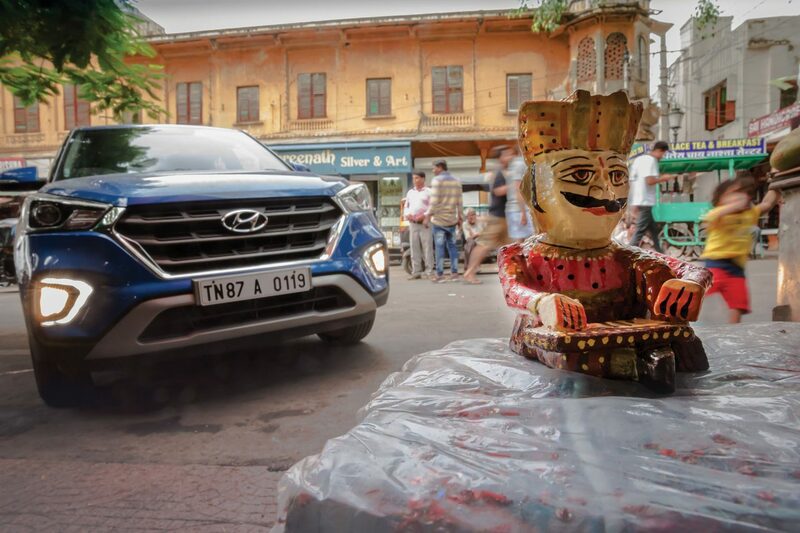 And we had the ideal vehicle to make the trip, the new Hyundai Creta. Udaipur is known as the ‘City of Lakes’, and also used to be the seat of the Mewar dynasty of the Rajputs. This has made it historically quite significant, and resulted in it becoming a popular tourist destination. The old city continues to maintain a very rustic old world charm, but step away from the major palaces, and stick to the lakes, and it is very serene. 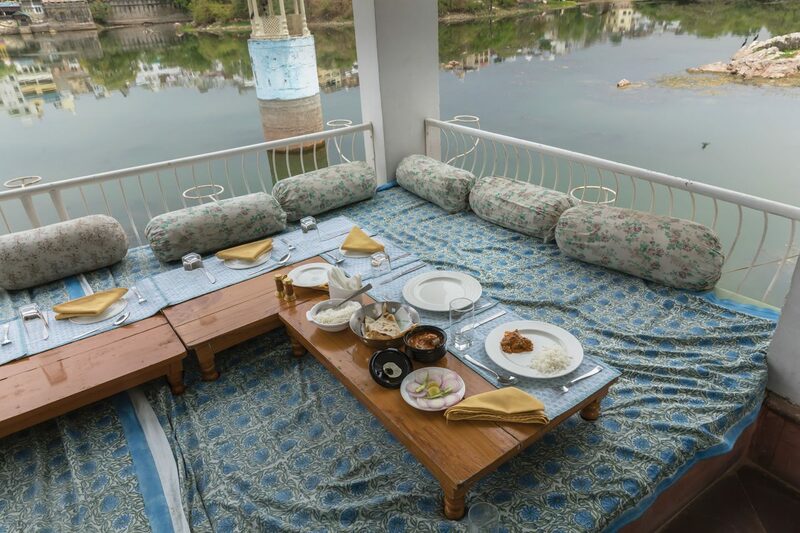 And that is the reason we chose Udaipur, as it blends both those aspects so effortlessly. Our journey to Udaipur was supposed to be long, and should’ve taken us a good 10 hours or so, but we managed to cover it in under 8. Not because we were over-speeding, but because the Creta just kept us so comfortable we didn’t find the need to take breaks. The 1.6 Diesel engine pulls strongly from 1600rpm, and is paired to a super slick 6-speed gearbox, which makes highway driving an absolute breeze. The Creta now comes with nifty new features like electric seats for the driver, a sunroof and Apple CarPlay equipped entertainment system. The cherry on the cake was it now also gets wireless charging for your smartphone! We were headed for the centre of the old city, and had chosen a place on the banks of Lake Pichola called Rosie’s Retreat. 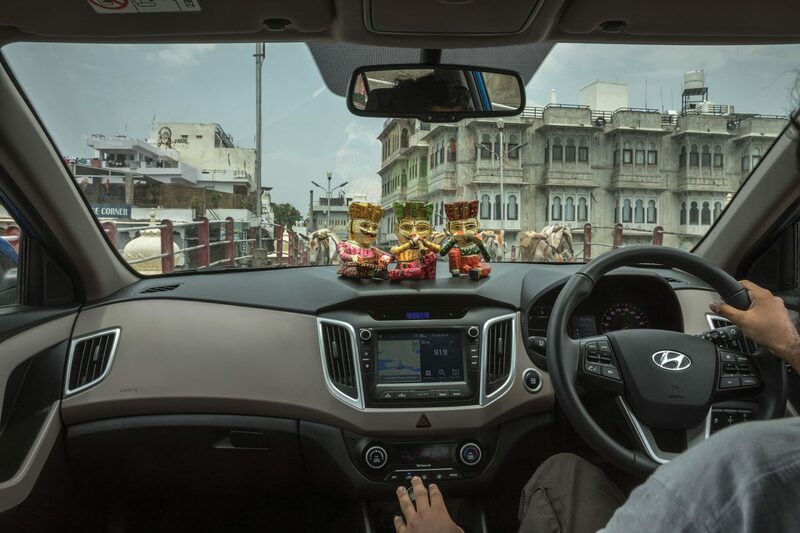 The streets got narrower as we neared it, but the Creta surprised us with its manoeuvrability before we arrived at our destination. Rosie’s Retreat is a little homestay that comes very highly recommended by travellers. Run by Rosie, it is a two-storey apartment complex, with a private terrace above. 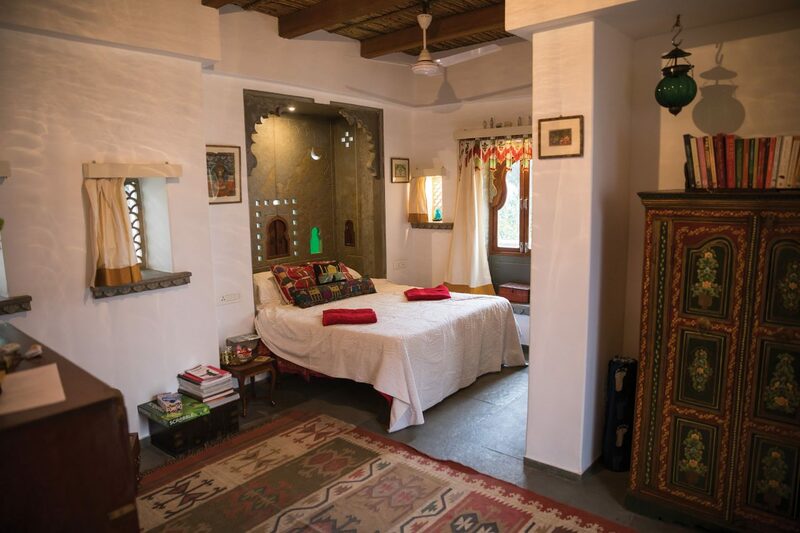 The rooms are very tastefully decorated, with liberal use of colours and artifacts, with tiny little touches that just make it feel very homely and rustic. A lot of care has been taken to ensure it doesn’t look tacky, and they have managed to do that perfectly. It is cosy and warm, and is the kind of place you can spend weeks, if not months, at. The terrace offers a private view of the lake, and with a kettle to make tea/coffee provided, it really is the perfect spot to enjoy a cup in peace. Of course, this is a homestay, so don’t confuse this for a hotel, but if you are looking for a relaxed spot away from the hustle, then it really doesn’t get much better than this. Personally, we’d choose this over a hotel any day. No trip to Udaipur is complete without a visit to City Palace. This is where the rulers of old sat and governed the city. Now a historical museum, it is at the very centre of the city on elevated ground that provides fantastic views all around. The front façade is striking and imposing, much like the updated design of the new Creta. Walking through its halls, you feel transported back to the age of kings and wars, as you take in all the preserved artefacts from that time, from throne rooms, courtyards and sleeping quarters to the armoury and balconies. Step back out though and wander the local markets as you interact with locals, some still dressed in traditional attire, and soak it all in. The old city, while being busy, still manages to exude a calming effect, much like a fish tank does, and we spent quite some time there before heading over to witness a traditional folk dance at the Bagore Haveli. 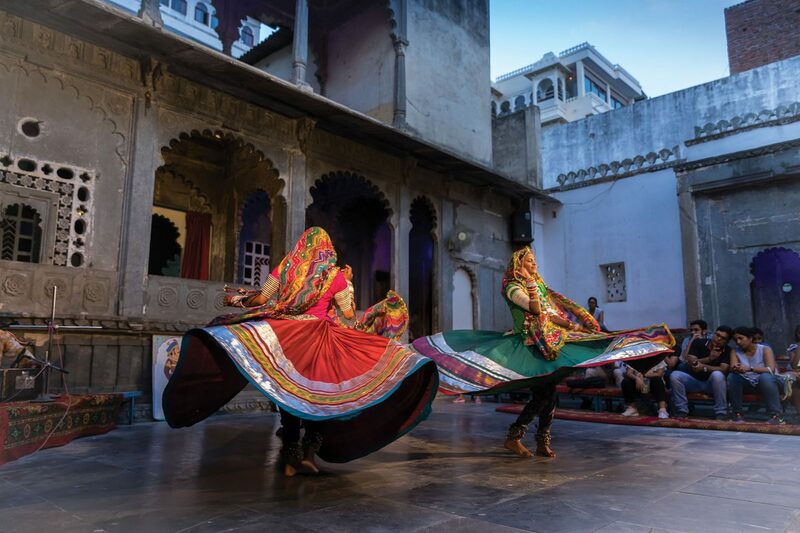 Local artisans dressed in colourful attire regaled the history of the land through dance and music, and if you ever visit Udaipur, this must be on your to-do list. As the light in the sky started to fade though, we headed over to the lake, as the sunset is one to die for. We witnessed it from the Lal Ghat area, as a local musician played soulful music on his Ravanahatha. Watching the sky turn orange to dark, with the Lake Palace hotel in front, is one of the best sights of Udaipur. But if you thought this was all Udaipur had to offer, you’d be mistaken. Once the sun set, we headed to the popular Jhummar restaurant for some local cuisine. Laal Maas and Mutton Dungaarwala are specialities, and both were cooked to perfection. The mutton was succulent and just slid off the bone, with no chewy fat at all. Have it with rice or naan and wash it all down with a lassi as you sit and gaze over the lake surface. But it doesn’t end here, as by now, all the historical monuments and hotels start to light up. If you thought Udaipur was beautiful by day, then Udaipur at night has a totally different splendour. Go up to any of the rooftop restaurants (there are a lot) and look across the lakes. City Palace and other structures are lit in golden light, and it reflects across the black lake surface to leave you dazzled and staring in wonder. If peace and quiet is what you desire, then drive along the banks of Fateh Sagar lake, which isn’t populated with lights. But before you wrap up the day, drive through the streets of the old city late at night. What was a crowded place is now dead and empty. You can pass through ancient arches and gateways that were too traffic jammed in the day, and truly absorb what the old days must’ve felt like. Only once you are done with all this should you return and stay up late at night on the terrace chatting away under the stars. There really couldn’t have been a better end to the day for us. Udaipur is a mix of many things. It is busy and crowded, yet offers peace and serenity. It is historical and charming in a very homely and friendly way. Very much like the Creta we had on this trip. It handled the narrow roads like a dream with a short turning radius and a light steering. The parking sensors were a blessing, as was the striking blue paint, which made it easy to spot in a crowd. And with all the features on offer, it just makes munching miles so effortless, that long drives that should’ve been tiring just end up being relaxing. 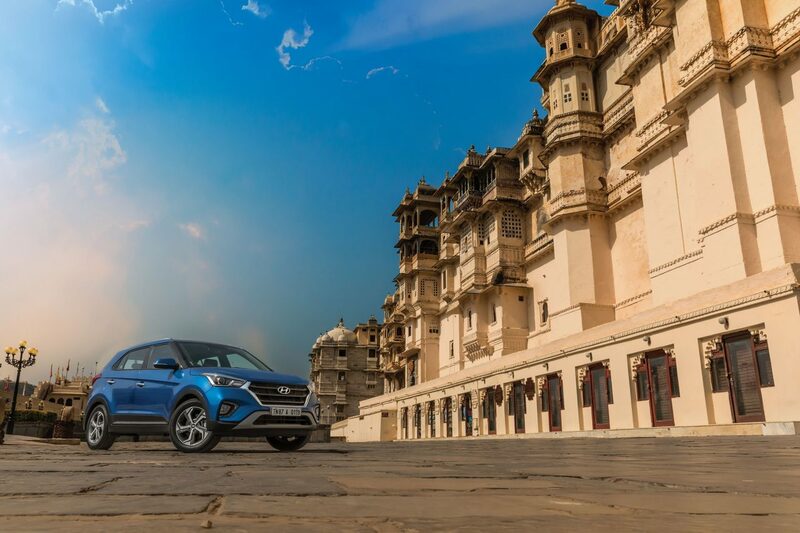 So Udaipur was the perfect choice to calm our city nerves for the weekend, but the real winner here was the Creta.